Popular Russian singer and pro-Kremlin lawmaker Iosif Kobzon — whose promotion of Jewish culture in the Soviet Union aided the establishment of its ties with Israel in 1991 — died aged 80 on Thursday, 13 years after he was diagnosed with cancer. Born in Ukraine’s Donbass region to Jewish parents, Kobzon — sometimes called “the Soviet Frank Sinatra” — survived the Holocaust and began his career in 1959. His heyday was in the 1970s and ’80s. 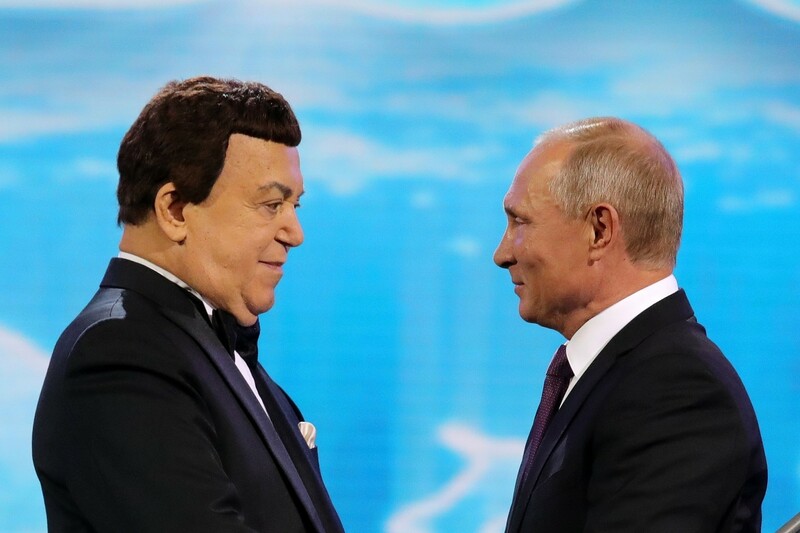 No major concert on Russian national holidays would take place without Kobzon, who also performed for Soviet soldiers in Afghanistan in the 1980s and for Russian troops in Syria in 2016. A former member of the Soviet Communist Party, Kobzon served as an MP for the ruling United Russia party since 2003. President Vladimir Putin sent a message of condolences to Kobzon’s family, the Kremlin said. 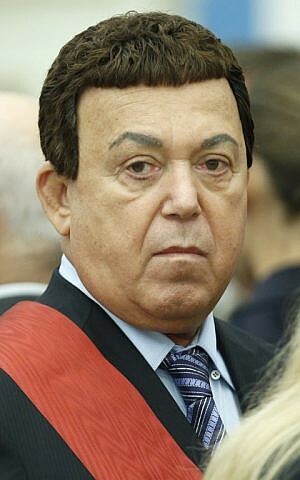 Kobzon was expelled from the Communist Party in 1983 over his support for Israel and for performing Jewish songs on stage during a diplomatic event, which caused Arab delegates to leave in protest. He performed all over the Soviet Union and in many other countries over his career, including Israel. In 2007 he was officially recognized by the Guinness Book of Records as the most decorated singer in Russia’s history. He also briefly did business in Israel. In 1997 he published the Russkij Israiltianin weekly, which set a goal to have independent investigative reporting on Israel and Russia, without relying on Israeli or Russian media. Following a disappointing first year from a financial point of view, Kobzon sold the magazine to a Russian newspaper. Kobzon had been a member of the management of the Federation of Jewish Communities of the CIS, an organization dedicated to restoring Jewish life, culture and religion in former USSR states. The artist was a strong supporter of Moscow’s annexation of Crimea and was targeted by EU sanctions in 2015 for performing in separatist eastern Ukraine. Kiev also blacklisted Kobzon for his stance on the conflict. Like Sinatra, he had long been dogged with rumors of links to organized crime, although he said he simply met shady figures through his singing. The United State repeatedly refused him visas. “His voice was heard from every window, you could not celebrate a single New Year’s Eve without him,” said an obituary on state-owned Vesti.ru.